We have published an article about the Stickers UI sections, implemented in the 2.18.2 update, and today we can finally show how the sticker looks in the chat and another nice detail, thanks to this version. When you will receive a Sticker, you will see a ❤️ icon in the notification center. Heart icon. It will appear in Android and iOS as well. And this is a sticker contained in one of the current stickers packs. Sticker contained in the “Hatch” stickers pack. This is a fast news: WhatsApp is finally working to implement the Live Location feature on Windows Phone! The feature was released the last year for iOS and Android and we don’t know why WhatsApp didn’t implement it on Windows Phone (the reasons were very unknown), but we’re sure they are currently focusing to work on it. Stay tuned! 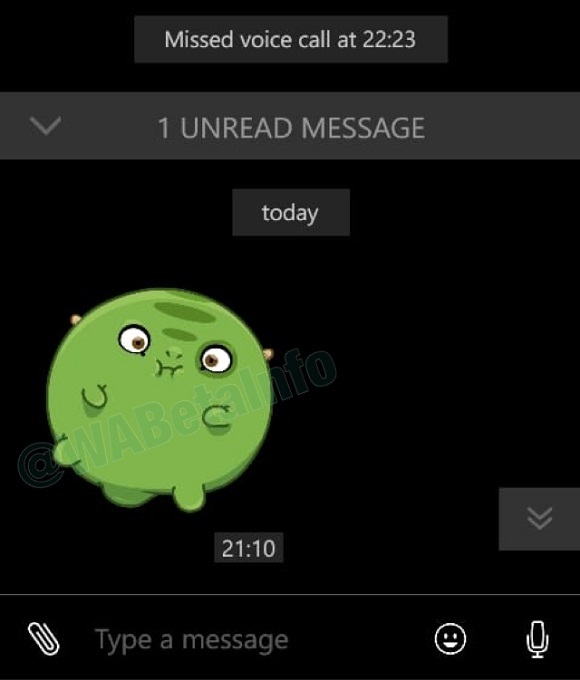 • The Stickers feature is not enabled yet, so if you update your WhatsApp beta version and you don’t see it, it’s all okay. The feature will be remotely enabled in future. 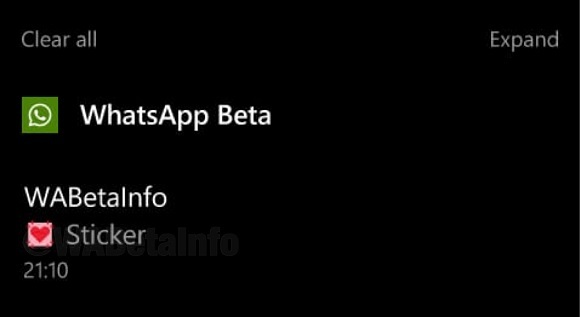 Previous PostPrevious WhatsApp beta for Android 2.18.50: what’s new? Next PostNext WhatsApp is rolling out the group description feature for all Android users!